There is no greater way to express gratitude, or to recognize a special event or date in someone’s life, than with a handwritten note. I love to create handmade cards for this purpose. Cards are created using ephemera, inks and paints, new and repurposed paper. 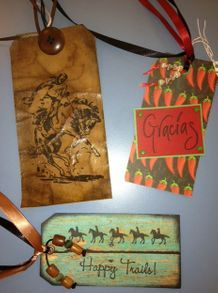 Moving from Kentucky horse country to Texas in 2006 – first to the beach town of Port Aransas and in 2013 to the beautiful western landscape of Alpine – card themes reflect where I live, both past and present. 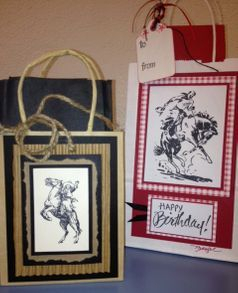 In addition to cards, I decorate gift bags and tags for the unique presentation of a gift.